Fonterra hit its seasonal milk production peak on October 22, 2015 with 86.9m litres of milk being processed on that day. This is down on last year’s seasonal peak of 89.6m litres of milk. New processing plants around the country have helped Fonterra process more than 86.9m litres of milk on the co-op’s biggest day of the year. Managing Director Global Operations Robert Spurway said the additional capacity has given the co-op more options in its product mix. “Getting the most out of large volumes comes down to having the capacity to process every drop of our farmers’ milk while also striking the right balance between our ingredients and foodservice capabilities. “This season we’ve been able to bring new plants online to drive greater value into both of these parts of the business,” he said. 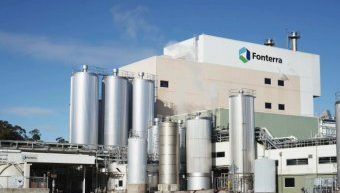 A new dryer at Pahiatua, New Zealand and three plants at Edendale came online in August, delivering more capacity and operational efficiency in milk powders, according to Fonterra. A new mozzarella plant at Clandeboye has doubled the Fonterra’s capacity for one of its most in-demand foodservice products. We now have more options around how and where we process our milk meaning we can prioritise milk into higher margin products. 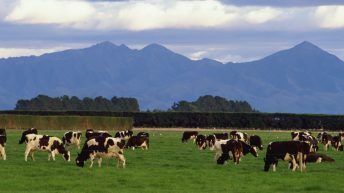 Spurway said that this also better equips Fonterra to satisfy growing and diversifying customer demand, while also being more responsive to changing market trends. To ensure milk is always directed to the products that will deliver the best returns for farmer shareholders, Fonterra reviews its product mix and priorities every 24 hours according to market demand, incoming milk volumes, product value and costs such as transport and logistics. 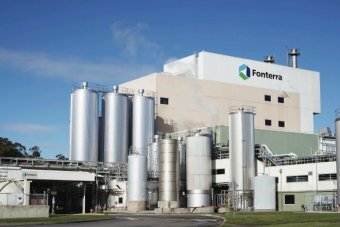 Further expansion is currently underway at Fonterra sites in Lichfield and Eltham to add a new milk powder dryer and slice-on-slice cheese lines respectively, with these new developments on track to be up and running in time for the 2016 peak.